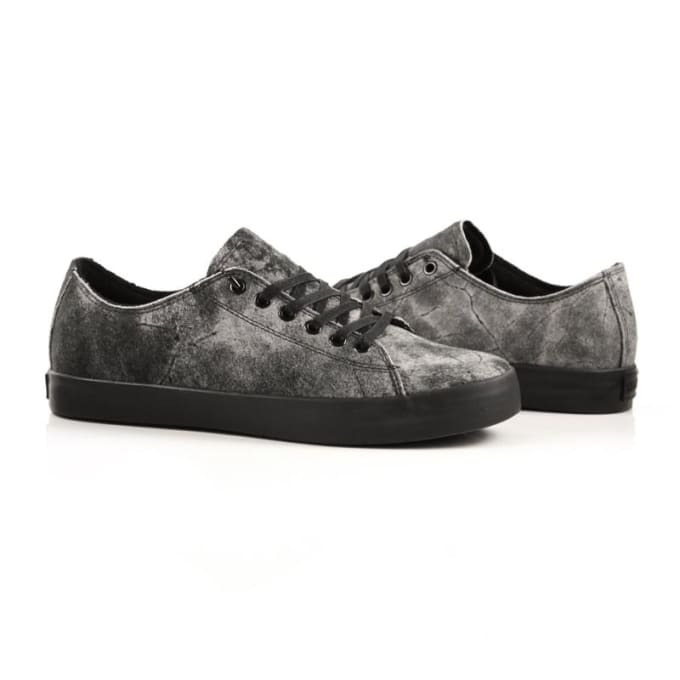 Kicks of the Day: Supra Thunder Low "Smoked"
Supra has let loose several fresh renditions over the past couple of weeks. And here we have the latest go of their Thunder model. Appropriately dubbed, the "Smoked" low-tops feature a smokey upper, sitting atop a black sole, and equipped with dark grey laces. Nothing over-the-top or outlandish, but just enough personality to entice. So if your&apos;re feeling &apos;em, hit up DQM to cop for $80.